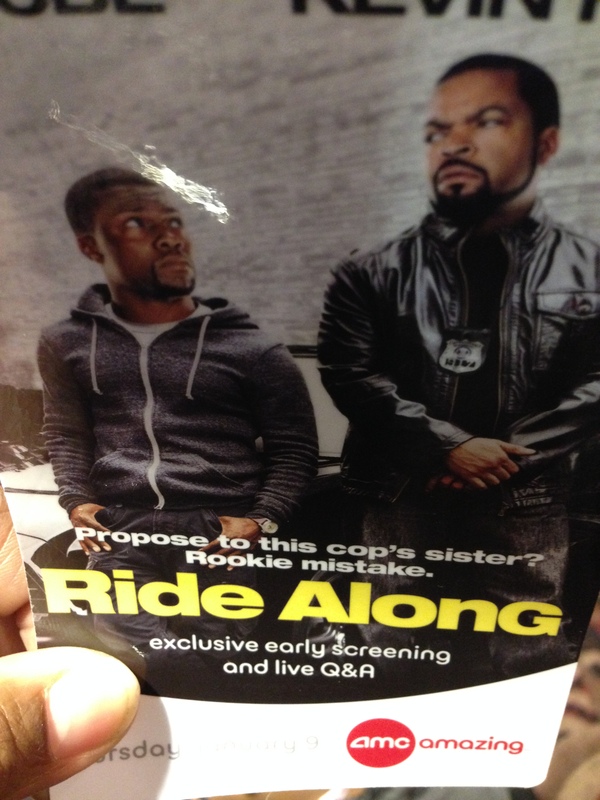 Today is a Good Day to see “Ride Along” so Let me Explain…. You’ve got tickets in hand, popcorn, drinks…..my son prefers nachos with melted cheese. You find your seat and get ready to laugh. Movie ends, exit screen left. BUUUUT, what if the stars of the movie stepped off the screen and right into the theater? Exciting right?!! 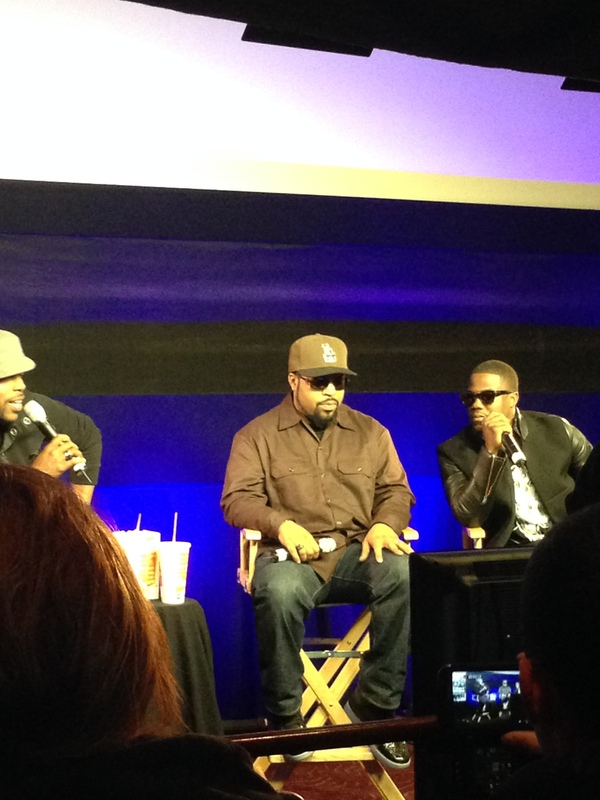 That’s exactly what happened at the Universal Pre-Screening live Q&A with Producer, Will Packer, as the moderator at AMC Theaters. Yes! I started my movie going experiences for 2014 off on a total high. It was really nice and so much fun. How the rest of my year will transpire after this event has yet to be seen but it would be a little hard to beat. 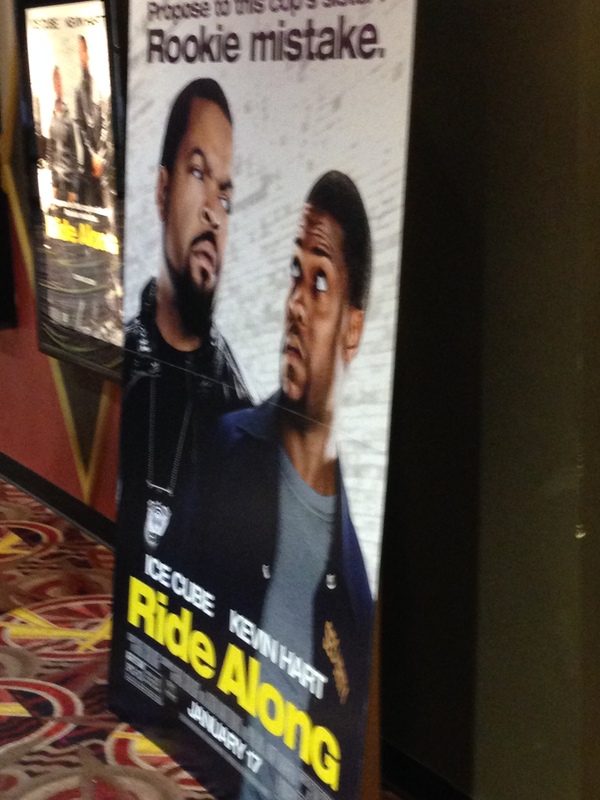 Since this is not the typical movie review, I won’t add details that would spoil your experience, however, I will say that you get what you would expect from Kevin Hart, lots of laughs and from Ice Cube, that same cool, rarely crack a smile demeanor, that is his name. You’ll laugh, you’ll cry. 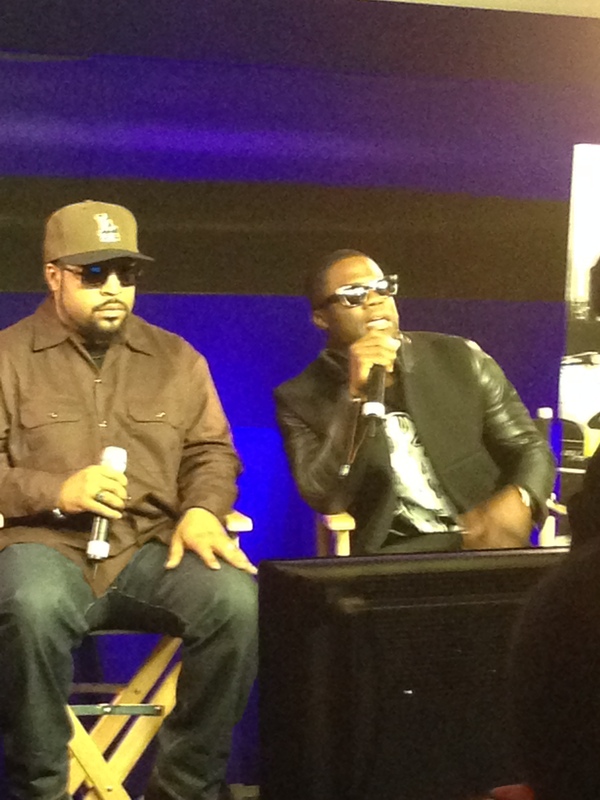 Ok, you won’t cry but you will enjoy your “Ride Along” with Kevin Hart and Ice Cube. I sure did!! Thanks to Universal and AMC Theaters. I am a proud STUBS card member. Give me a moment while I towel dry. 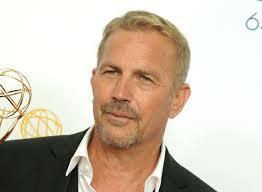 Kevin Costner, the bodyguard himself, is just plain “hand” with a whole lot of “some”. I felt protected, I did. Keira Knightley with an American accent? Not sure how I feel about that but I adore her. I expected her to do something. If you’re a fan, she often has such a powerful presence but not in this movie. Kenneth Branagh, with his strong intimidating Russian mystique, managed to make me feel afraid yet sympathetic. I don’t really have a personal rating system and this is not your typical movie review. I’ve simply decided to share my lust for movies and document each experience. With that said, would I recommend you see it? Absolutely!! Plenty of action. Might be slightly predictable but still worth the night out. 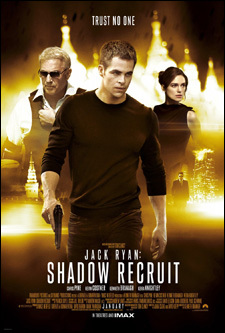 Chris Pine alone is worth every $$$! !